The biggest cyberattack the world has ever seen is still claiming victims and threatens to create even more havoc on Monday when people return to work. The attack is a virus that locks people out of their computer files until they pay a ransom to the hackers. "We will get a decryption tool eventually, but for the moment, it's still a live threat and we're still in disaster recovery mode," Rob Wainwright, the head of the European Union's law enforcement agency Europol, told CNN's Becky Anderson on Sunday. He added that the agency is still analyzing the virus and has yet to identify who is responsible for the attack. The U.K.'s National Cyber Security Centre said Sunday that there have been "no sustained new attacks" of the kind that struck Friday. But the agency added that some infections may not yet have been detected, and that existing infections can spread within networks. Wainwright said earlier on British TV that the attack was "unprecedented" in its reach, with more than 200,000 victims in at least 150 countries. Organizations around the world spent the weekend trying to recover after being hit by a virus that seeks to seize control of computers until victims pay a ransom. Hospitals, major companies and government offices were among those that were badly affected. Cybersecurity experts have said the majority of the attacks targeted Russia, Ukraine and Taiwan. But U.K. hospitals, Chinese universities and global firms like Fedex (FDX) also reported they had come under assault. Related: When should spies tell companies that their systems can be hacked? U.S. Treasury Secretary Steven Mnuchin, at a meeting in Italy, said Saturday the attack was a reminder of the importance of cybersecurity. "It's a big priority of mine that we protect the financial infrastructure," he said. Europol's Wainwright underscored the point Sunday. All sectors of the economy were vulnerable and organizations could take lessons from the banking industry, which appeared to have largely escaped the global attack. "Very few banks if any have been affected because they've learned from painful experience of being the number one target for cybercrime," he said on ITV's Peston on Sunday program. 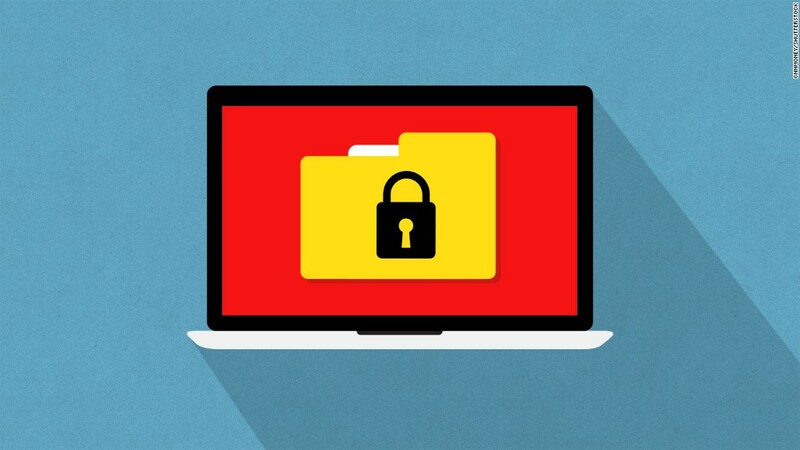 The ransomware, called WannaCry, locks down files on an infected computer and asks the computer's administrator to pay in order to regain control of them. The exploit was leaked last month as part of a trove of NSA spy tools. The ransomware is spread by taking advantage of a Windows vulnerability that Microsoft (MSFT) released a security patch for in March. But computers and networks that hadn't updated their systems were still at risk. In the wake of the attack, Microsoft said it had taken the "highly unusual step" of releasing a patch for computers running older operating systems including Windows XP, Windows 8 and Windows Server 2003. The patches won't do any good for machines that have already been hit. Experts said Sunday it appeared that the ransomware had made just over $32,000, although they expected that number to pop when people went back into the office Monday. Security agencies have so far not been able to identify who was behind the attack. Wainwright said Europol did not know the motive. He added that ransomware attacks were normally criminal rather than political in nature. "Remarkably few payments" had so far been made in response to this attack, he added. 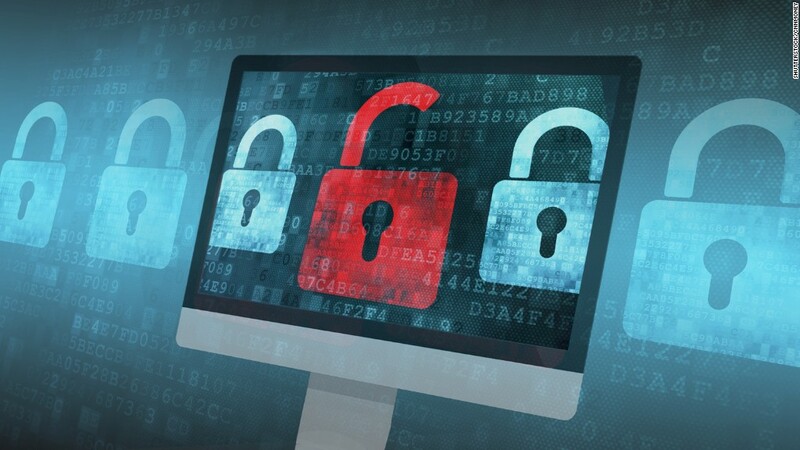 In China, the internet security company Qihoo360 issued a "red alert" saying that a large number of colleges and students in the country had been affected by the ransomware, which is also referred to as WannaCrypt. State media reported that digital payment systems at some gas stations were offline, forcing customers to pay cash. Major global companies said they also came under attack. Fedex said Friday it was "experiencing interference with some of our Windows-based systems caused by malware." Two big telecom companies, Telefónica (TEF) of Spain and Megafon of Russia, were also hit, as was Japanese carmaker Nissan (NSANF) in the U.K.
Russia's Interior Ministry acknowledged a ransomware attack on its computers. It said less than 1% of computers were affected, and that the virus was now "localized" and being destroyed. U.K. defense secretary Michael Fallon said Sunday that Britain's nuclear submarines were safe from cyberattack. When CNNTech first reported the Microsoft vulnerabilities leaked in April, Hickey said they were the "most damaging" he'd seen in several years, and warned that businesses would be most at risk. --CNN's James Gray and CNNMoney's Selena Larson contributed to this report.